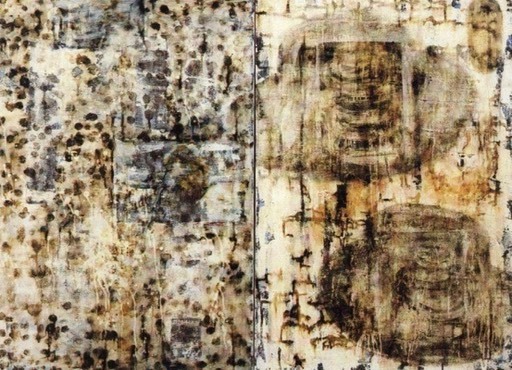 My work has always relied on some notion of 'cultural memory' as part of its momentum. There has been a regular use of references to things known and half-known that condition our thoughts and feelings in all kinds of ways. This was probably most obvious in my paintings of the late 1980s. Some of them were seen as dealing with ‘political' issues, but they could be described more accurately as applying a form of cultural critique to their source material. 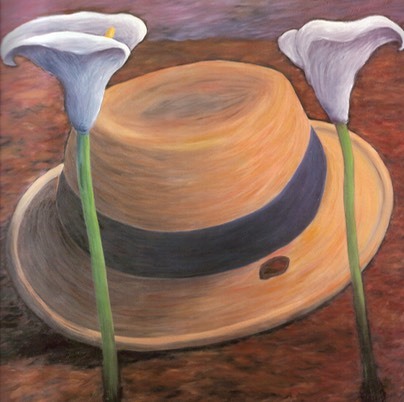 They posed adaptations of well-known or iconic images, like James Connolly's hat, Easter lilies, Edward Carson's statue, Paul Henry landscapes, and Celtic effigies, on abstracted backgrounds or fields of colour. The displacement of these images from their usual context and their re-positioning within the shifting metaphorical space of the paintings served to open them up to new readings, much more ambiguous and intricate than before, thereby expanding or reframing their 'cultural' possibilities. There was a certain degree of iconoclasm involved, necessarily so, combined with a sometimes ambivalent mixture of irony and admiration. 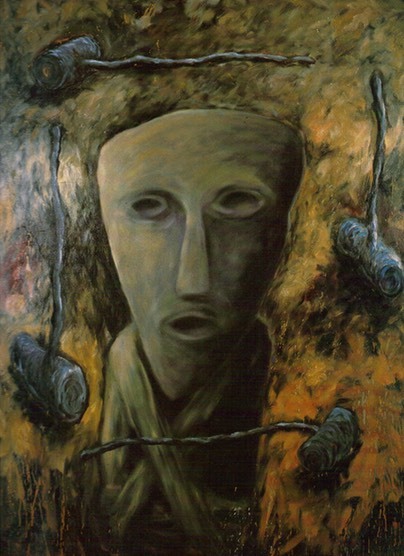 Since that time, the paintings have ranged over various inter-connected themes and subject matters, while continuing to employ similar concerns and formal structures. The process of opening up well-known images (and some not so well-known images) to new and more intricate readings continued through the 'Belfast Series' of 1992-93, which used commonplace memorial 'street' imagery as a source. The expansion of possible readings then became more important in its own right and led eventually to the 'Reflex Series' of 1997-99, and other related works. 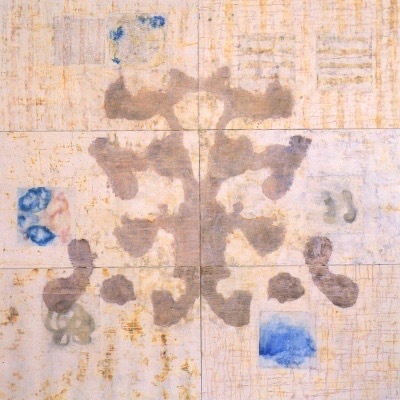 These large-scale stain paintings were used to generate images loaded with Rorschach-type ambiguities that were relatively challenging (and often humorous) in their wide range of associations, from archaeology and tantric art to cartoons and pop psychology. 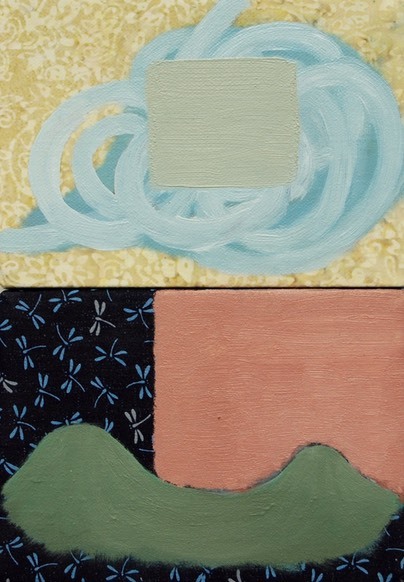 The more recent paintings have gradually moved into a different area of ambiguity. They have now progressed to the point where they can be said to manifest an attitude towards their making that corresponds roughly to John Cage's 'music-as-weather' analogy. Cage said that he wanted to create 'music-as-weather', meaning simply that he didn't want to control what was happening in the production of his music; that it should unfold by its own means, just like the weather. Thus, he often relied on apparently random processes. Similarly, my own work now relies quite substantially on random factors, especially in the preliminary stages of its construction. The paintings, for example, increasingly take their origins from chance observations, unplanned encounters, and spontaneous reveries. Cursory notes and ‘sketches’ are often thrown together in a spontaneous fashion. The painting process itself invariably generates adjustments, accidents and surprises. The paintings, as it were, seem to decide their own trajectory, their own progressions, and their own formal 'closures'. So, most of my works, whether tending towards figuration, abstraction or, more usually, somewhere in-between (a kind of ‘corrupted figuration’), come into being largely as the result of happenstance. This is especially true of the diptychs, where individual panels can be shuffled around before being placed with a partner, and re-worked accordingly. Their intentions change as they go, allowing ready improvisation, not just on the formal level but also within their range of associations and possible interpretations. The results are 'designed' to be unpredictable in content as well as form, and part of the pleasure in producing them is their unexpectedness. The celebration of contingency has, therefore, become one of their prime motivations. Concomitantly, my art practice, within a wider context, has become more and more grounded in the divergent processes of everyday life. It has taken on the qualities of something akin to an 'ethical, cosmopolitan paganism' (to borrow an apt description from Dave Hickey), an ethos that relishes the diversities of human feeling and reflects the arbitrary nature of beliefs and events. It attempts to provide an antidote to the dull rhetoric of habit and repetition. As part of a general aspiration, it aims, in the first instance, towards a heightened joy in ‘looking’ and ’seeing' as a means of engaging more intensely with the everyday world.